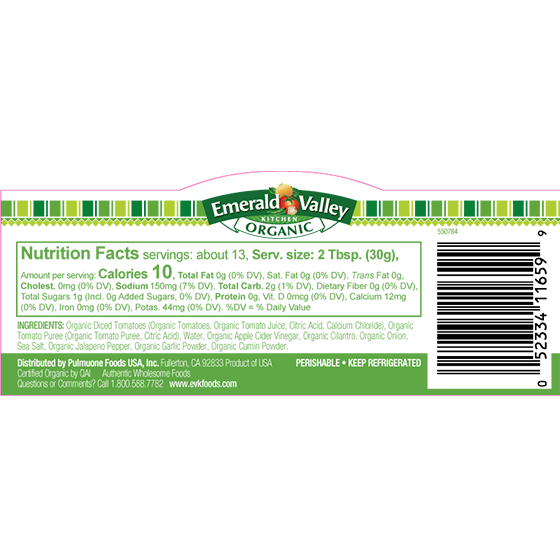 Tasty, aromatic and organic, our EVK Salsa brings the produce land and the spice markets together. 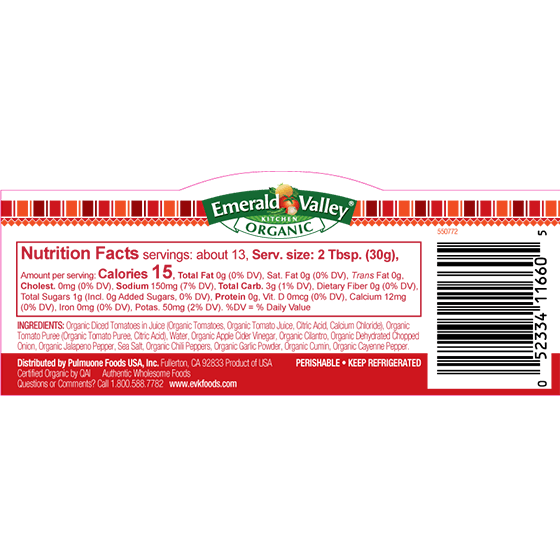 California’s finest tomatoes, onions and cilantro are all staples of our traditional salsa recipes that we have used for more than 30 years. The flavor of our salsa is reminiscent of salsas from both California and Mexico City. Our salsas are traditional in flavor, are perfect for snacking but also have enough hearty flavors to be used as a cooking ingredient for the inspired home cooks. Try any of our 3 salsas in Mild, Medium and Hot. Our artisan salsas are prepared with our organic recipes that combine traditional salsa ingredients such as diced tomatoes, cilantro, onion, spices and varying amounts of jalapeno peppers. 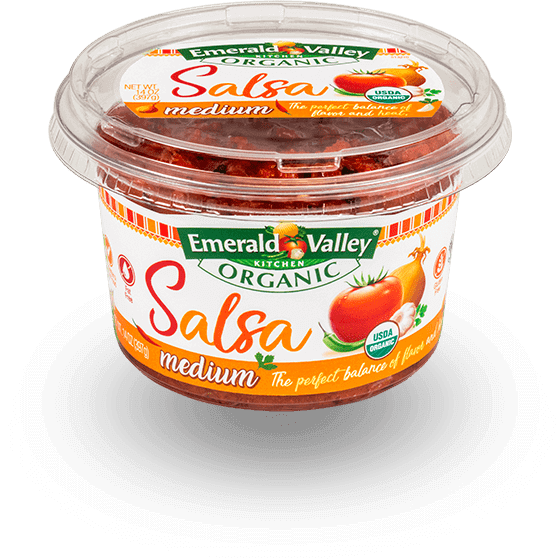 Our Medium salsa is a traditional everyday go-to salsa with the perfect balance of flavor and heat. 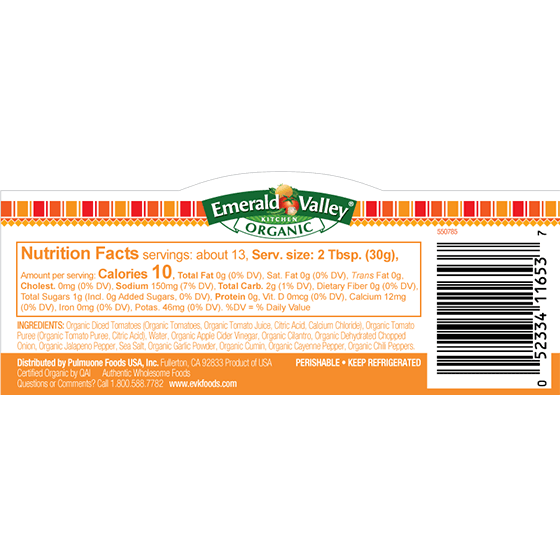 Our artisan salsas are prepared with our organic recipes that combine traditional salsa ingredients, such as, diced tomatoes, cilantro, onion, spices and varying amounts of jalapeno peppers. 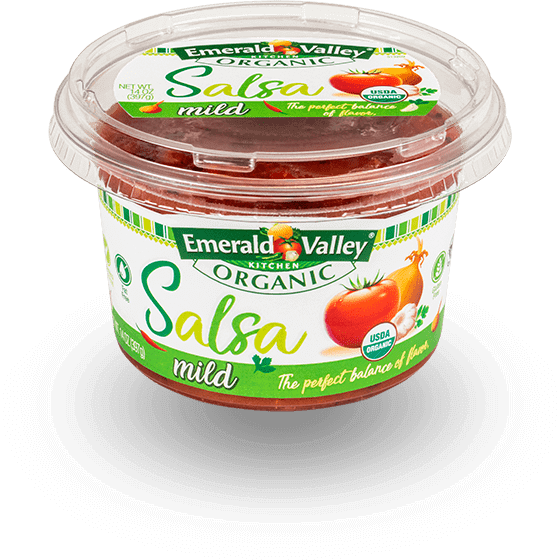 Our Mild is a traditional everyday go-to salsa that is truly a Mild salsa with the perfect balance of flavor. Our artisan salsas are prepared with our organic recipes that combine traditional salsa ingredients, such as, diced tomatoes, cilantro, onion, spices and varying amounts of jalapeno peppers. 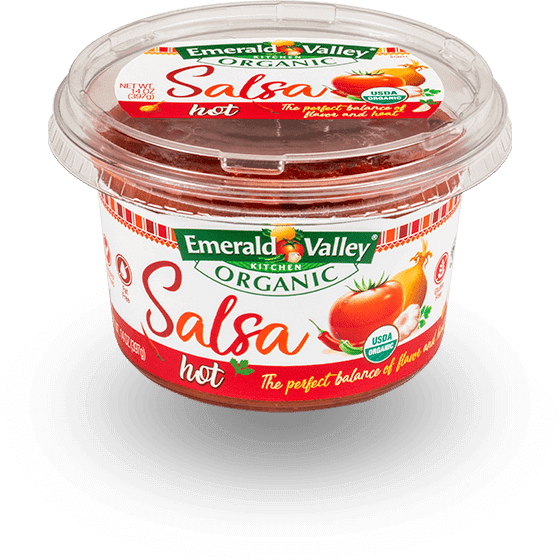 Our Hot Salsa is a traditional everyday go to salsa with a one-two punch of heat while maintaining a perfect balance of flavor and heat.